One of the first things new bloggers want to find out is how to increase blog traffic fast. Many people on the web claim to know exactly how to do that. Are any of them right? 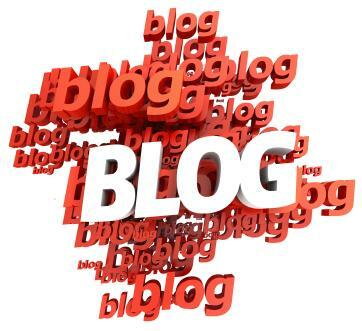 Is a surge in blog traffic a good thing? The answer to the last question is easy: YES. The only possible downside to a surge of traffic to your blog is if it becomes so huge that the server is overloaded. Even if the people coming to your blog are disagreeing with your post, you are still interesting them in the topic, and they're likely to come back just to see if you can outrage them again. The word "traffic" can be a bit misleading, because it's more than just people coming to your blog and looking at the content. It's also "backlinks" which go from other sites (usually other blogs) to your particular post and therefore increase your search engine standings. It is also the number of keywords that Google web spiders note in your post. Keyword optimization is a vital part of any successful blog strategy. There are a few very easy ways to spike interest and attract traffic to your blog. The thing to remember is that one or two successful high-ranking posts are not going to keep your blog successful. There are a few not-so-easy steps required for that. However, to jump start your blog out of "lonely blog syndrome" there are some very straightforward techniques that will drive traffic to your site. Join a blog Carnival. "Carnivals" in the social media world are a group of bloggers who get together and each create a post about a specific subject. All of these posts are then linked to each other, thereby creating backlinks and hopefully channeling interested readers into other blogs. Guest blog Post. As Lynn Terry writes on her marketing blog, everybody struggles with generating new content for their blog. That's why bloggers welcome guest posts to their sites. Offering to write a pertinent entry for another blog, especially one that is better known than yours, can give a nice jump as people come to see what else you have to say. At the same time, when your blog does become successful, the site your guest post is on will get a surge in traffic from having your name associated with it. It's a win-win situation for everyone. Optimize Your Plug-ins. There are quite a few blogging platforms, but WordPress is turning into the clear leader. Making sure you have the right plug-ins activated and configured on your blog can help make each post more visible to search engines. Other plug-ins are designed to make it easier for readers to share your posts with each other and with aggregate sites such as Digg.com. You can also get plug-ins that will get your posts automatically sent to Twitter, to an RSS feed, and to search engine services. It takes some research to find the right plug-ins, but most are free and easy to install. Sites such as MakeUseOf give comprehensive lists and links to the current plug-ins for WordPress, but you may have to find different techniques for your particular blog platform. While those are three easy steps to almost instantly increase traffic to your blog, you need to cultivate the habit of creating good quality content on a regular basis in order to maintain a high stream of traffic. There's no easy way around it: content is king, and if you want to be a blogger, you have to regularly submit solid, informative (or entertaining) blog posts. Setting a regular writing and posting schedule is one of the key characteristics of all successful bloggers. While it is not how to increase blog traffic fast, it is how to keep the traffic you get steadily increasing.